When I was studying abroad in Saitama prefecture, one of my favorite things was walking around after closing time down Crea Mall; a street of shops, restaurants, and bars. I would often find myself out late after a bout of karaoke or perhaps a drinking party with friends. We would then stroll back to the train station passing all the storefronts. 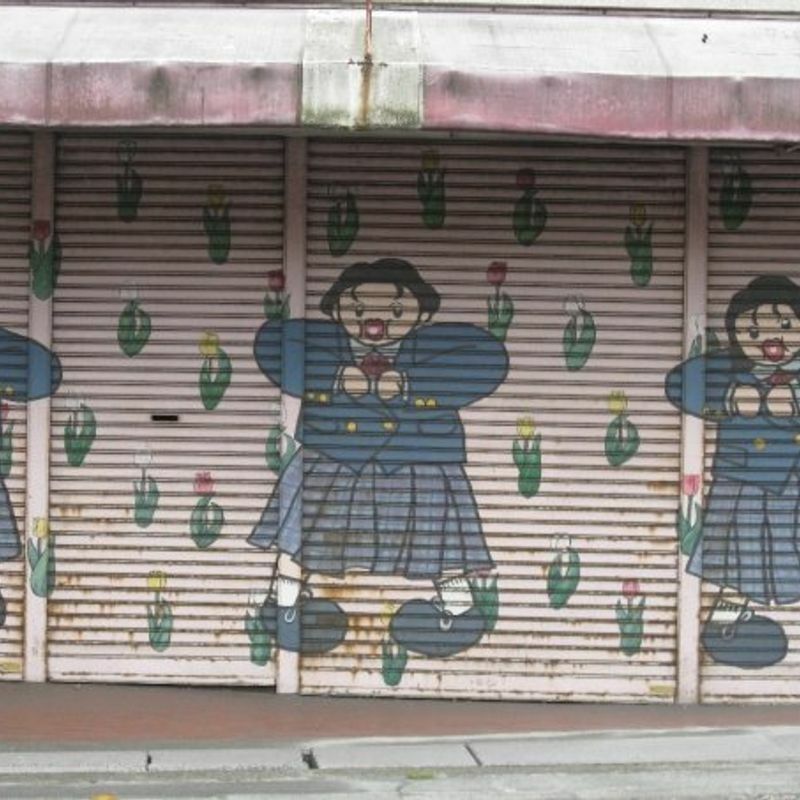 After each store closed its doors, or should I say shutters, the most amazing (sometimes amazingly awful) artwork would appear. I don't think a single one of them had the feeling of being freshly painted, so they all gave the impression of being remnants from life in the past. 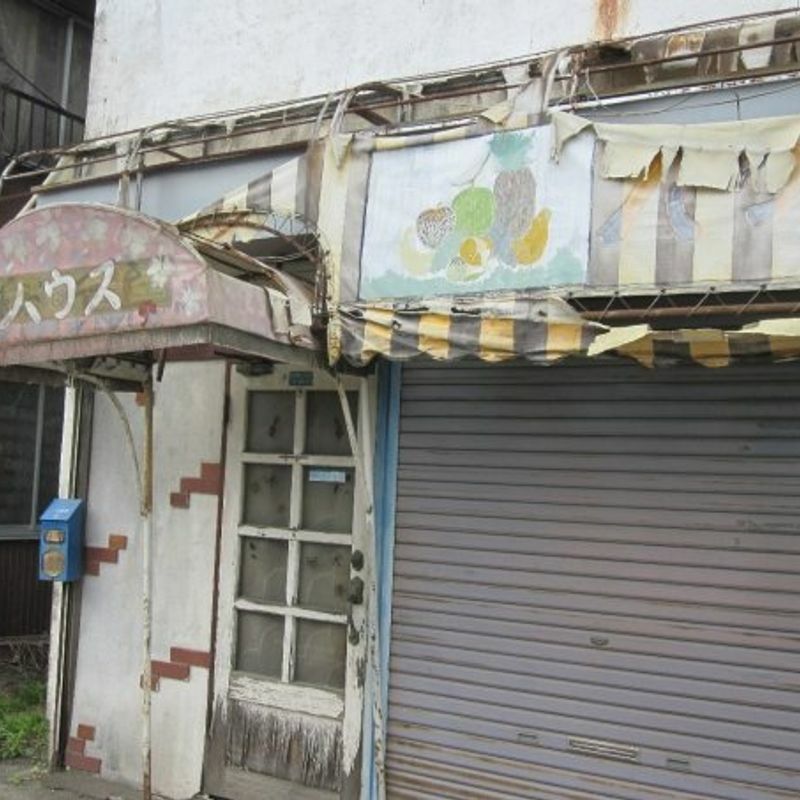 Many of the buildings are there from the Showa period which means it is likely the shutters were painted back in the 80's as well. Nearly all of the shutters are decorated in some way and this wondrous art isn't specific to that shopping area. I have seen giant spidermen and anpanman, rabbits and kappa, all sorts of art all over Japan after closing time. The town I lived in when I first come to work here also had a few sprinklings of murals throughout the small downtown section of the small town. Many of these storefronts forever remained shuttered closed and their murals permanently on display. The peeling paint and rust showing through are visible displays of the shrinking population. The murals are a much prettier sight then just a plain old decomposing building, however. These paintings have a bittersweet undertone to them, but they are still entertaining and worth keeping an eye out for. 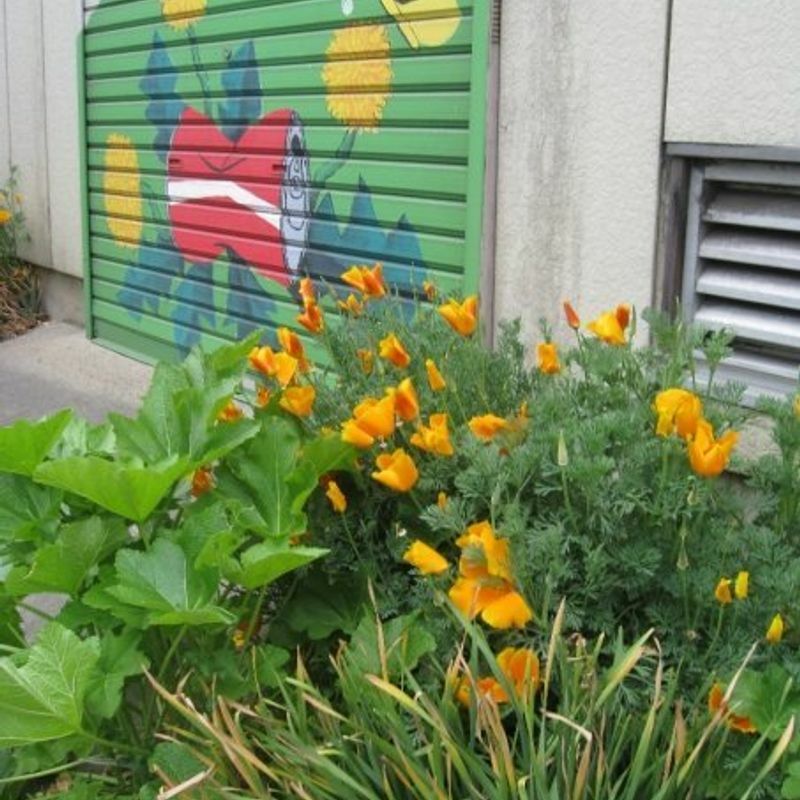 clearly, someone at one point put lots of effort to make their store attractive even when it wasn't in business and now that it is out of business, we still get to enjoy its colorful painted story. Have you seen any fun paintings out late? Did you see them during the day in a slowing declining rural town? That is so beautiful!! I wish they did that where I live, but I live in the countryside... Haha! I have seen some in Nagoya though! @ReishiiTravels I have seen it in the "in town" parts of a tiny village here as well. I love how bad some of the paintings are!